The Rail Office of the Indiana Department of Transportation (INDOT) is now accepting applications for 100 percent reimbursable grant funds for rail crossing safety improvements. Improvements eligible for grants include pavement markings and warning signs or surface improvements at rail crossings. Other improvements may be discussed with INDOT to see if they are applicable for the grant funds. Local jurisdictions, such as counties, cities and towns, are responsible for advance warning signs and pavement markings to warn drivers that railroad crossings are ahead. 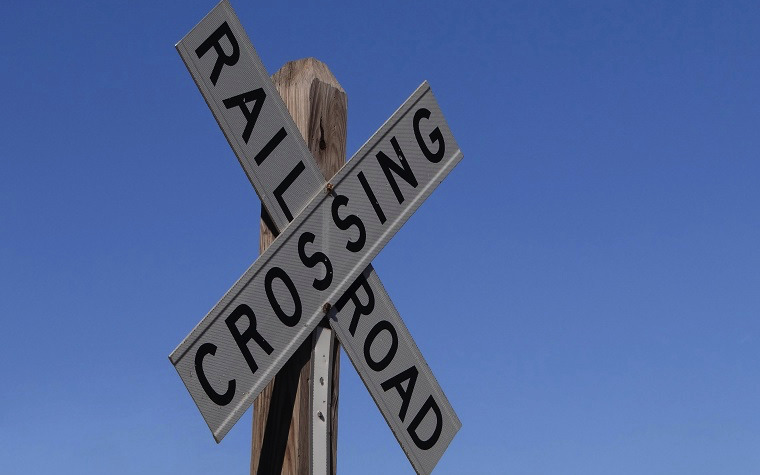 Railroad companies are responsible for the warning signs, like flashing lights, gates and crossbucks, at the crossings. To improve rail crossing safety, crews may need to close the crossing. If this is necessary, the Rail Office has grants for $10,000 or $20,000 specifically dedicated to communities closing rail crossings within their jurisdictions. The railroad grade crossing safety enhancing grants are available for 2016. Approved applicants may receive a maximum of $40,000 for railroad enhancements. Applications are available online for both railroad companies as well as local communities. The grants are strongly recommended for communities that don’t have any pavement markings or advance warning signs near the crossings. They are also strongly recommended if the current pavement markings or advance warning signs are faded.